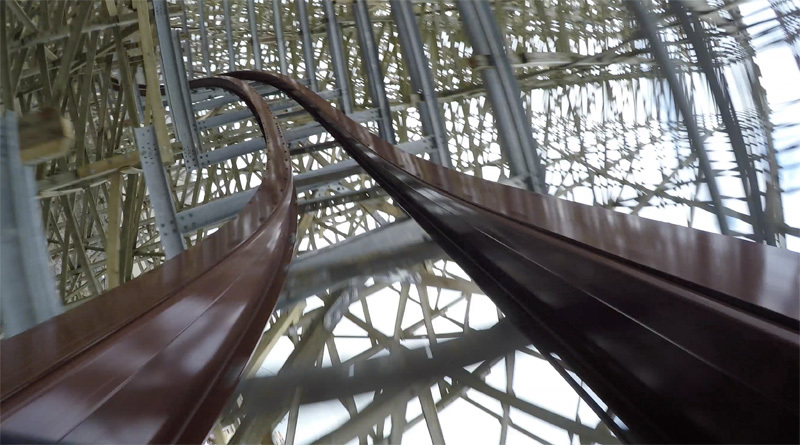 Behind The Thrills | Kings Island New Coaster Leaked-Bat or Banshee? Why not Both?! Kings Island New Coaster Leaked-Bat or Banshee? Why not Both?! Kings Island New Coaster Leaked-Bat or Banshee? Why not Both?! Cedar Fair has had some mishaps over the past few years. Last year, Cedar Point’s Gatekeeper website was released before the announcement. Kings Island made a similar mistake today! or did they? 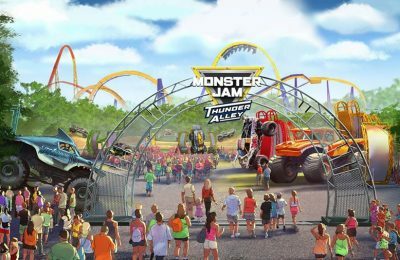 Maybe this is just a diversion but maybe not… Would Cedar Fair make the same mistake twice? Maybe not. Maybe so. 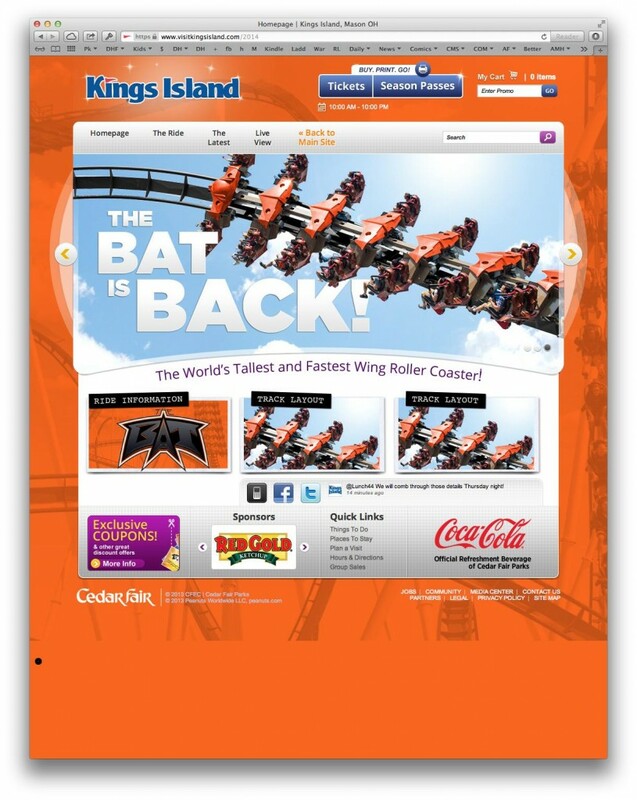 One thing is for sure, Kings Island’s official website had the pages below up for a very short time earlier today. Was it an accident? 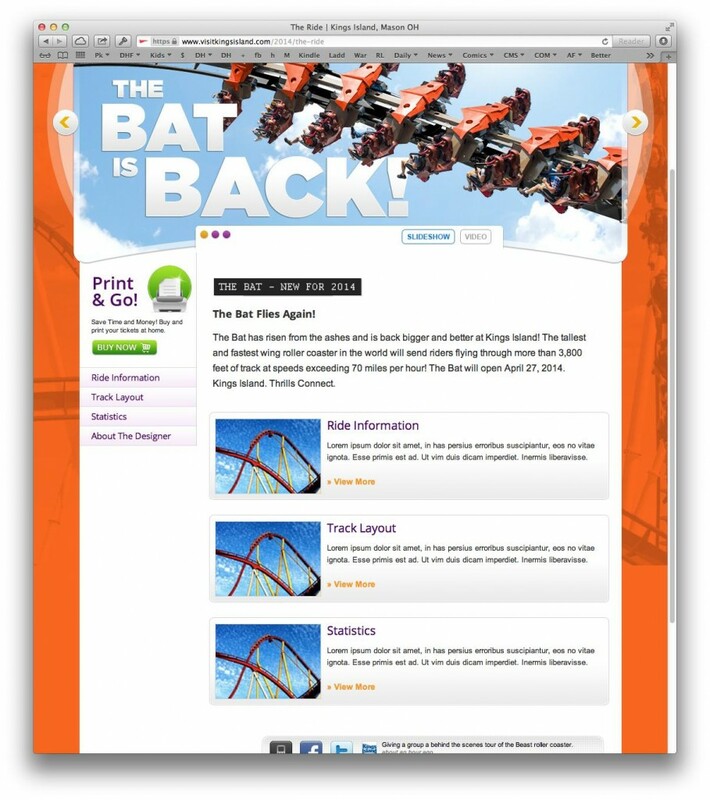 The leaked site has the name of the ride as “The Bat”, like the suspended coaster that once lived at the park in the 80’s. According to this, the ride is a new record breaking wing coaster. 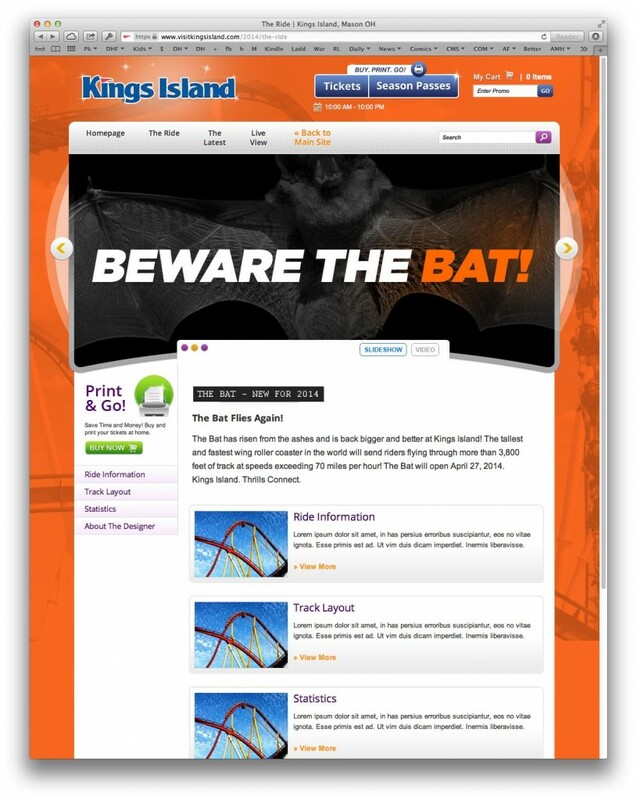 Although this was on the official Kings island website (which has now been removed) It included pictures of Diamondback and Gatekeeper stock photos. Those may have just been filler pics until the actual photos were inserted while building their website. Maybe it is just another crazy diversion before the official announcement that takes place Thursday, August 8. We will let you be the judge of that. Check back Thursday as we provide details for Kings Islands newest attraction during the official announcement at 10pm est! 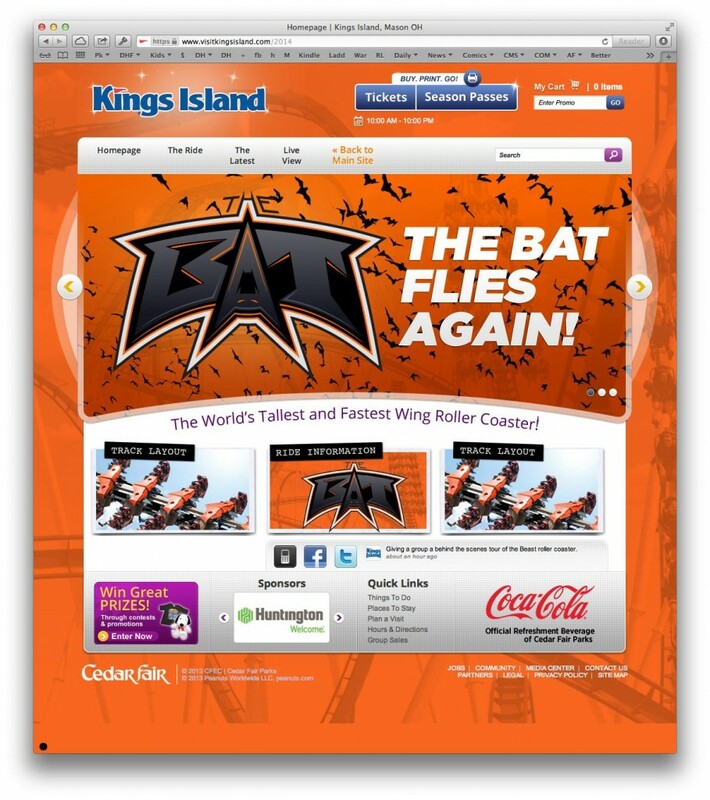 For more info on kings Island, visit their official website here.